This is a time of year when many people join or renew art museum memberships, or receive them as gifts. Most art museums offer membership at various levels, each of which comes with perks to encourage the purchase of more expensive membership levels. What’s not always obvious is that some of those levels often include membership in a reciprocal museum program. These allow your museum membership to grant you admission — and often bookshop discounts and other perks — at numerous other museums and institutions that participate in the same program. If you like to travel and visit other museums, particularly small regional ones, this can be a tremendous value. The largest of these programs is the North American Reciprocal Museum Association (NARM), which offers reciprocal privileges to over 900 institutions in North America. Not all of these are art museums, of course, but many may be of interest and they can even include institutions like arboretums and formal gardens. The NARM member list is offered as a PDF (this link may change over time) or as a map. The next largest program of which I’m aware is ROAM, the Reciprocal Organization of Associated Museums, with a smaller list, but one that may pertain to museums in which you’re interested. There are also regional programs in the west and south of the US. Many museums are participants in more than one program, so there can be some overlap; others are only on one program. In all cases, if you are interested, check the asterisks, footnotes and small print before joining. There are limitations and conditions, in particular, limitations about excluding museums within a certain mile radius of the issuing institution. ROAM has a 25 mile limit, inside which reciprocal memberships do not apply; NARM has individual restrictions of varying milage (from 15 to 90) on some institutions, limited either by the issuing museum of the one being visited. There are other limitations at various museums for bookstore privileges, special events, and certain special exhibitions. Given those conditions, it may actually be advantageous to join through a museum outside your area, but I prefer to support museums I visit regularly. It’s also worth shopping around on the membership pages of the individual museums to see which museums offer membership in the reciprocal organizations at the lowest membership level cost. This can vary quite a bit between museums for the same reciprocal network. It’s up to each participating institution to set their own membership cost level in which to include the reciprocal membership as a benefit. We have a membership to both the Brandywine River Museum of Art and the Delaware Art Museum at the reciprocal membership level, which gives us membership at a reasonable price point in NARM through the Brandywine, and both ROAM and the Art Museum Reciprocal Network through the DAM. It also supports two small but superb regional museums that we visit often. I was in New York over the weekend and I took the opportunity to visit the Frick Collection, which I haven’t been to for a few years (it’s often hard for me to get past the Met and the Morgan Library to other museums when I’m in NYC). The Frick is based on the collection of Pittsburgh industrialist Henry Clay Frick, and is housed in his mansion on Manhattan’s Upper East Side, at 5th Avenue & 70th, not far from the Met. Though it’s a pretty large urban mansion, it’s a small museum compared to behemoths like the Met or the Brooklyn Museum, but given its size, I think it has some of the highest “masterpiece density” of world-class works per square foot of major museums (perhaps only beaten out by the Uffzzi). 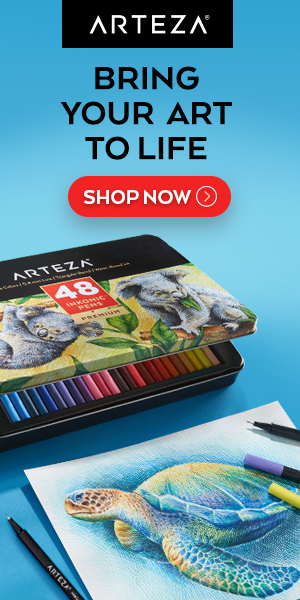 There are stunning, famous and often reproduced works by Vermeer, Rembrandt, Titian, Velazquez, Belinni, Holbein, Constable, Turner, Ingres, Monet, Degas, Whistler and… well, more than I can list here. If you’re in NYC and want a good dose of masterpieces without dealing with the mind-boggling scale of the Met, the Frick has your number. Though based on Henry Clay Frick’s collection, the museum is not static, there are changing exhibits, and the museum continues to acquire works for the collection. The Frick has “pay-what-you-wish” admission on Wednesdays from 2-6 p.m. Though I’m glad the museum has put their collection online in an easily searchable manner with reasonably large images, they have not been as generous as some museums in terms of making high-resolution images of their collection readily available, and photography is not permitted in the museum (you can take your selfies in the central court, but not in the collections). For those who can’t visit in person, the online gallery can be searched directly or sorted by collection (i.e. paintings, works on paper, sculpture and other decorative objects), and browsed or searched from there. There is also a collection app, suitable for tablets, though the resolution is not quite as high as the website. Even for those in NY who can readily visit the museum, it’s worth browsing through the works on paper in particular, as there are numerous objects that can’t be displayed often, and it’s a really nice collection to browse online. What isn’t obvious when viewing the collection online (and really should be) is the option to use a Mirador IIF pop-up viewer to view an enlarged version of the image in a full-screen window. Though the resolution of the image isn’t higher than the built into the page enlargement, the latter has to be viewed within the constraints of a window in the page. The full page viewer is accessed by clicking the enigmatic Miridor IIF icon at the bottom of the right-hand information column for each image. The icon looks like three lower case i’s and an f. Why they can’t also label this link with “full screen viewer” or some other explanatory text is beyond me. That being said, there are also a few high-resolution images of some of the objects in the Frick Collection from other online sources. You can find some of them in zoomable form on the Google Art Project, and others by using a size-filtered search on Bing Images or Google Images. (Hopefully, these links will work for you, I’ve set them to “Frick Collection paintings” and filtered for 1600 pixels wide or larger). There is also a selection of images from the Frick Collection on Wikimedia Commons, though only a few of them are higher in resolution than the ones on the Frick Collection website. Tomorrow, Saturday, September 23, 2017 is “Museum Day” here in the U.S. 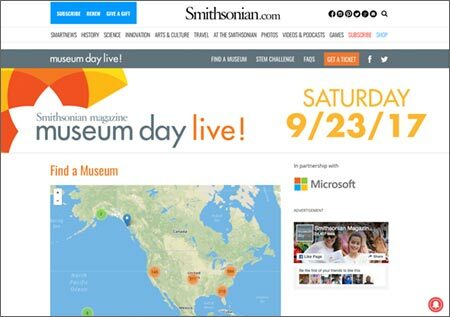 Organized by Smithsonian magazine, participating “Museum Day Live” institutions offer a free pair of admission tickets for the day. You just need to order your tickets in advance (today), print them out and take them with you. Hundreds of museums are participating, but you must choose just one, and you are limited to one pair of tickets. Search for a museum on this page. You can search by name or by location. I found the Zip code search less than useful, because it doesn’t search a radius. The state lookup is more helpful (though it doesn’t cross state lines). Drill down by location on the map. Once on your chosen museum page, click “Get Tickets” and enter your name and email to receive tickets by email. This is all kinds of museums, art and others, and the event should not be confused with “Art Museum Day”, which takes place in the spring. As I mentioned in a post in 2014, I’ve long been impressed by the mid-20th century illustrations of MacCauley “Mac” Conner, an influential artist whose work was a prime example of the Madison Avenue advertising culture showcased in the Mad Men television series. This was a period that also represented last great heyday of magazine illustration in America. Rather going into more detail here, I’ll refer you to my original post on Mac Conner, and concentrate in this post on the exhibition of his work currently at the Delaware Art Museum. My admiration for Conner’s work was based largely on seeing it in reproduction — for an illustrator, that’s how it’s actually meant to be seen — but seeing his original art in the show, in a large and very well organized retrospective, just knocked me out. I was frankly even more impressed than I expected to be. Throughout the show, I was wowed by Conner’s masterful handling of gouache and his consistently daring and inventive compositions. Conner (who is still with us at over 100 years old) is an artist who was clearly not content to sit within the limitations of his field, but always pushing at the borders (both literally and figuratively) of what could be done with the printed page. He experimented with novel points of view, referential repetitions of colors and images within the theme of an image, suggestions of elements not present (like walls, floors and horizons), daring crops, simultaneous representations of multiple views of the same scene, jarring juxtapositions of size and distance and sharp projection of emotional content. Concurrent with his explorations of composition (in which negative space played a huge role) was his experimentation with the use of his medium, usually gouache on illustration board, at times augmented with pastel, ink or pencil. His style evolved from Norman Rockwell influenced realistic rendering to the almost flat modernist style that came to exemplify 1950s and 1960s magazine illustration, in which rendering, if present, was often confined to the edges of forms. He also experimented with both rough and fine lines, textural effects and color palettes from monochromatic to duotone to full color, often with clever use of a contrasting color within an almost monochromatic composition to both highlight important elements and tie the composition together. Underlying all of his inventiveness and restless exploration was his keenly developed draftsmanship and an unfaltering grasp of perspective, anatomy, facial expression and spatial geometry. The exhibition at The Delaware Art Museum was developed by the Museum of the City of New York, which apparently has a superb collection of Conner’s work, and is similar to some degree to previous exhibitions in New York in 2014 and at the Norman Rockwell Museum in 2016. The Delaware Art Museum has a selection of images from the show on their website, but they are disappointingly small, though there is a brief video on the page that shows some of the images in more detail. Also disappointing is the inexplicably small printed volume that accompanies the exhibition. I do have an understanding of the economics of printing, but why take illustrations often meant to be double page spreads in magazines that could be almost 11 x 14 and print them in a book less than half that size? (Sigh.) The book was prepared by the Museum of the City of New York to accompany a previous exhibition and is apparently no longer available except at the exhibition venues, so if you want it, pick it up at the museum. The best image source for Conner’s work online is this article from 2014 in The Guardian, in which the images are large enough that you can begin to get a feeling for the character of Conner’s beautifully handled gouache paintings. There is an unofficial Tumblr blog but few other online resources for his work. The Original Mad Man: Illustrations by Mac Conner is on view at the Delaware Art Museum until September 14, 2017. This is a tremendous show — stunning work, beautifully presented — and fans of illustration, daring composition, gouache painting (or the Mad Men TV show, for that matter) should not miss it. In a gesture to make up for the inaccessibility of much of the museum’s collections during a major renovation to the building, the Nationalmuseum Stockholm has just released 3000 high resolution public domain art images from its collection to Wikimedia Commons. There is an article on the museum’s website here. The images are arranged on the Wikimedia commons site in a special (hidden) category: Media contributed by Nationalmuseum Stockholm: 2016-10, that is arranged for browsing alphabetically (note the “previous page”/”next page” links at the bottom of each page of thumbnails). I don’t see a way to search specifically within the category, but I suppose you can do a general search for an artist’s name plus “Nationalmuseum” in the Wikimedia search box. Should you want more information about any of the works or the artists, you can switch over to the Nationalmuseum’s collection search. Most of the images are at least 3,000 to 4,000 pixels wide, certainly large enough to see paint texture and individual brushstrokes in many of the paintings. Browsing tip: If you click on the image thumbnails on Wikimedia Commons, they will open in a kind of viewer; however, if you click on the text title, you’ll open the image detail page with options to view or download the image at various sizes. If you want the largest image without the largest file size, note that the last images in the list of available image sizes are TIFF files that are large in file size. You will usually see the next-to last image in the list of sizes is a JPEG image that is the same dimensions as the TIFF, but much smaller in file size. Though JPEG is a “lossy” format (throwing away image data to achieve higher compression) the compression levels are low enough that you won’t see much, if any, difference. Not only are there beautiful works in this lot from the museum’s deep collection of Swedish and Norwegian artists, like Anders Zorn, Carl Larsson, Carl Fredrik Hill, John Bauer and Frits Thaulow; there are works by greats from elsewhere in Europe, like Rembrandt, François Boucher, Francesco Guardi, Gustave Courbet, Jan Lievens, Pieter de Hooch, Auguste Renoir, Jean Siméon Chardin and many others. You may have to dig a bit to find the kind of works you’re most interested in, but if you’re inclined to browse and linger through high-res art images the way I am, I’ll issue my customary time-sink warning, so you don’t inadvertantly wake up with half a day gone. The release of the images coincides with a new exhibition at the museum that promises to be terrific, featuring more than 160 works of Scandinavian 19th century painting from the collection. Turn-of-the-Century Gems will be on view at the Nationalmuseum Stockholm from 23 June to 24 August, 2017. "Nationalmuseum releases 3,000 images on Wikimedia Commons"
Tomorrow, Thursday May 18, 2017, is Art Museum Day here in the U.S. Organized by the Association of Art Museum Directors, it’s an event in which participating museums open their doors for free and often feature events, tours and museum shop discounts. Unlike the broader Museum Day, organized by the Smithsonian and generally held in September, this event has no requirement for advance tickets or limitations on the number of museums you can visit on the day. This page devoted to Art Museum Day, though it may not be obvious at first, offers a list of participating museums, arranged by state. The images above are of some of the participating museums here in the Philadelphia area: the Philadelphia Museum of Art; The Brandywine River Museum of Art, the Pennsylvania Academy of the Fine Arts Museum of American Art and the Barnes Foundation.